Citizens as well as Expatriates of Kingdom of Saudi Arabia can call emergency numbers as per the service required, This emergency numbers are toll free. If you are living in KSA then you should note down this numbers as you may required it some time in case of emergency. 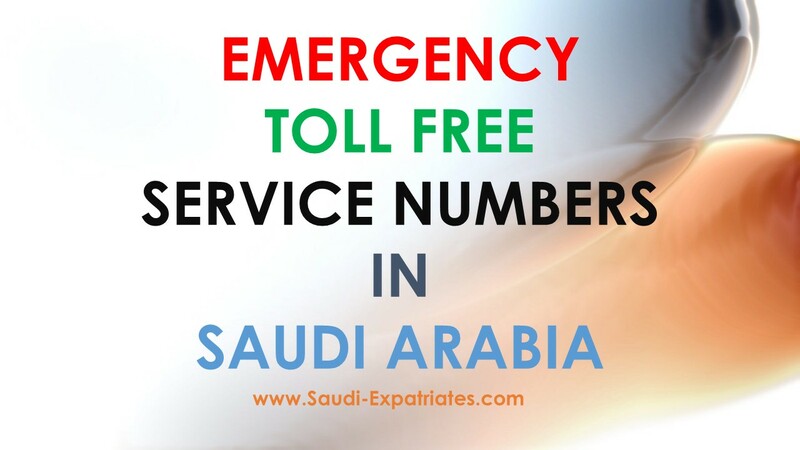 You can also call Expatriates Hepline number available in this article "Saudi Expatriates Helpline".